Over the past several months I've noticed that my costumes aren't showing-up in the 'Latest Updates' list even when I add new photos. For example, earlier today (several hours ago actually) I added a new photo of my Tanuki costume to the website, but my costume ( [url]http://www.cosplay.com/costume/483011/[/url] ) has yet to register on the 'Latest Updates' feed. 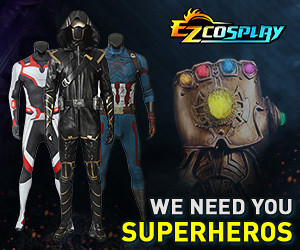 Is there something more that I need to be doing in order to trigger Cosplay.com to recognize that my costume has new photos/information? Also, has anyone else noticed this? It should automatically bump the costume up, but I also don't see yours as moving to the front after the photo upload. Quick question - did you add it to the costume during the actual upload process, or did you edit the photo info afterwards to add it to the costume? I added it during the upload process (i.e., I checked the box for my Tanuki costume during the upload). Thank you for looking into this! Any progress yet? Please let me know if you need any further info, or if there's something I can do to help. Sorry for the wait, I just got a new computer and have been trying to get everything up and running again ^_^. I've uploaded a new photo to the Tanuki album. Looks like it worked, so it might have just been something random. If it happens again please let me know. Sorry for the trouble...but it looks like it's happening again >_&lt;. I updated my shiny Silcoon gijinka costume with a photograph a few hours ago, and it still hasn't shown-up in the 'Latest Updates'. That's really odd, thanks for letting me know. So far you're the only one I've seen it happen to, I'll jump through the code again and see if something account-related is causing it. Would it help if I tried to upload again? If you could do that and see if it fixes it again like last time, I would appreciate it. That way I can compare the two uploads.